Quentin Tarantino has found his replacement for Burt Reynolds in Once Upon a Time in Hollywood. Sadly, Reynolds, who passed away earlier this month, didn’t get the chance to film his scenes in the Pulp Fiction director’s latest. 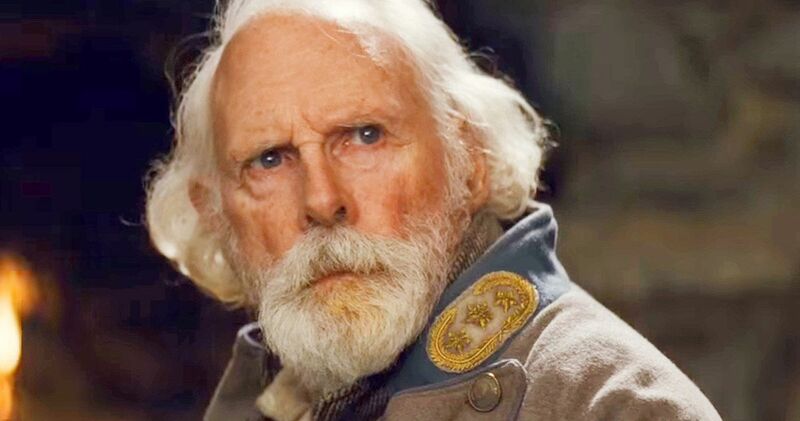 So, Tarantino was forced to turn elsewhere and he’s tapped another 70s movie star in the form of Bruce Dern. This is a move that makes a great deal of sense, not only because Dern is, himself, a great actor, but because Dern and Reynolds were actually friends in real-life for years prior to the actor’s passing. Bruce Dern will play George Spahn, the real-life figure who housed Charles Manson and his followers at his ranch prior to their string of grisly murders. Spahn was nearly blind at the time and some of Manson’s female followers aided him as part of the arrangement, even going so far as to sleep with him. Quentin Tarantino has a reverence for certain movie stars and Burt Reynolds certainly fit into that category, which is part of why he was cast in a movie that will see an old-school version of Hollywood in the late 1960s, just ahead of Reynolds’ decade of dominance on the big screen. With Bruce Dern, Quentin Tarantino has turned to another star who had fallen from grace only to have one heck of a revival in recent years. Dern worked with the director previously on Django Unchained, in a small capacity, and on The Hateful Eight, where he had a very meaty role. Dern also scored an Oscar nomination for his work in Nebraska a few years back and recently was featured in the crime drama White Boy Rick. Dern is currently filming the upcoming movie Remember Me but the producers managed to rearrange his schedule to accommodate what is needed for Once Upon a Time in Hollywood. This serves as yet another great addition to an already stellar cast. The cast is led by Leonardo DiCaprio and Brad Pitt, playing a former TV series star and his stuntman respectively, with Margot Robbie on board as Sharon Tate. Other cast members include Lena Dunham, Al Pacino, Tim Roth, Kurt Russell, Dakota Fanning, Michael Madsen, James Marsden, Emile Hirsch, Timothy Olyphant, James Remar and Damian Lewis. It could prove to be the most impressive ensemble Tarantino has ever assembled, and that’s saying something. Dern and Reynolds previously appeared with one another on screen in projects such as 2003’s Hallmark western Hard Ground, the 1999 TNT TV movie Hard Time: The Premonition and an episode of the classic Western series 12 O’Clock High in the 60s. Reynolds’ passing was no doubt a big loss for Hollywood, but this seems to serve as a nice way for Quentin Tarantino to pay tribute to the legend. Once Upon a Time in Hollywood is set to arrive in theaters on July 26, 2019. This news was first reported by Deadline.